Many people are opting for what is being referred to as "green" living. This means reducing the amount of hazardous chemicals in the home, as well as conserving energy, recycling and reusing. When completing a revamp on a home, utilizing green techniques will often save the homeowner money as well as add to a safe environment. When tiling floors or walls, try making a homemade tile grout instead of purchasing pre-mixed grout that contain additives such as petroleum and epoxy. Create natural grout for floor or wall tiles. Mix the Portland cement and the fine-grade sand. Depending on the size of the gaps in between the tiles, more or less sand can be used. 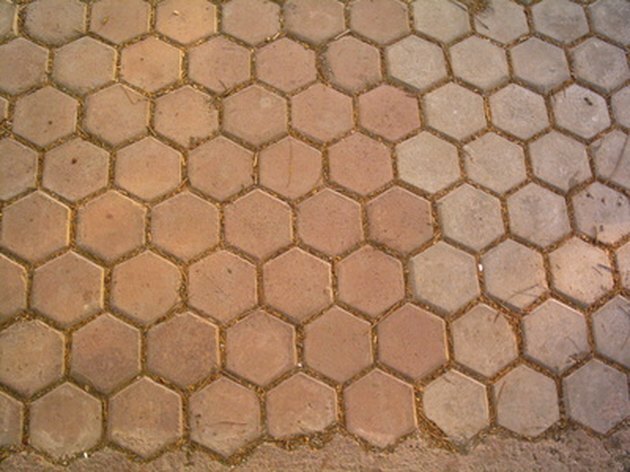 For tiles that are close together, use a ratio of about 1:1. For larger gaps, use a ratio of Portland cement to sand of about 1:3. Begin adding water slowly to the mixture, mixing with either a mixing stick or spatula. Add water until the grout has the consistency of cake frosting. It should not be runny. Slowly add the natural earth pigment powder while mixing until the desired shade is reached. Natural earth pigments can be purchased in several different colors and include ochers, minerals, oxides and colonial naturals. Earth pigments can be purchased online or in specialty stores. Scoop some grout onto the grout float and begin spreading it with light pressure over the tile gaps. It is all right to get grout on the tile; this will be removed later. Let the grout dry until a the tiles appear dull and hazy. Dampen a sponge in clean water and rub it in a circular motion over the surface of the tiles until clean. Mist the grout with water over the next 10 days to damp-cure it. Damp-curing is important in low-humidity areas, since grout that dries too quickly can lose strength. Can You Thicken Runny Grout?